Their next purchase! …I have a great range of books, prints and merchandise featuring my different characters. My books range from 100-page graphic novels to small hand-made zines, so hopefully there’s something for all tastes and budgets. Telling stories visually and considering the design from panel to page to object. When I first read the finished book is the best moment because I learn what worked and what I want to improve, but still celebrating having created something new. The time! Comics take a lot of work, so even for quick ideas, there’s quite a bit of commitment involved. It’s all about being out there and having people find my work. As an illustrator, much of my work is done in my studio, alone, so seeing the results of that effort is awesome. It’s also great to meet other creators and friendly faces from tabling around the country. Luke Pearson’s Hilda series is always great and I’m excited for the Netflix series. 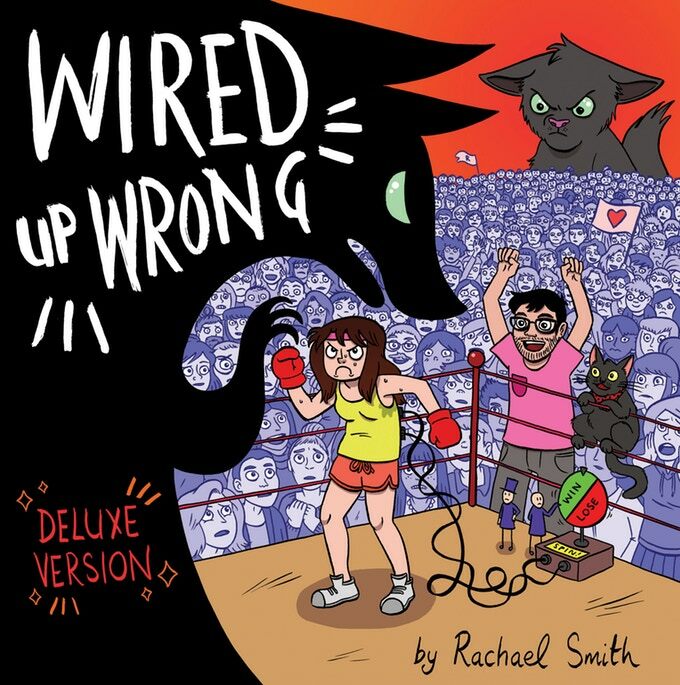 I really enjoy Rachael Smith’s work, too, so I’d recommend her deluxe edition of ‘Wired Up Wrong’, even though I haven’t got it yet! You can find Alex online at his website and stop by his table at True Believers 2018 and say "Hello".